Fireplaces not only add exceptional ambiance to a home, they can provide valuable, cost-efficient heat as well. If you're not lucky enough to have a fireplace in your house, you can certainly have one installed—but first review the options. Is there anything better than sitting beside the fireplace on a chilly winter eve? Not only does a fireplace provide decorative charm and the practical benefit of warmth, but it can also add to the value of your home. In fact, by some estimates, homeowners recoup 130 percent of the amount they invest to build a fireplace, with 78 percent of home buyers rating fireplaces as a desirable amenity. 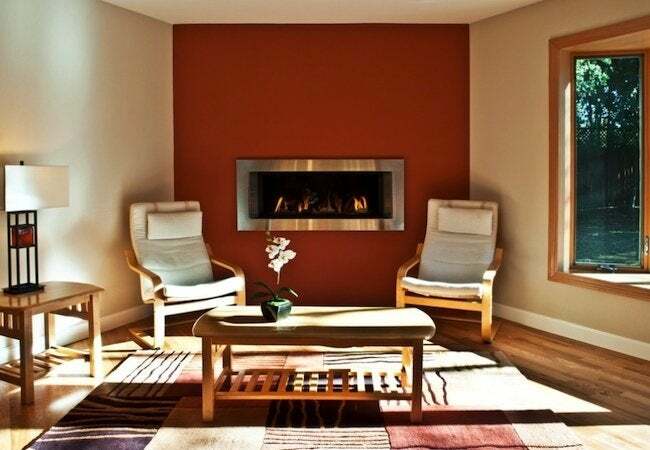 If your home doesn’t have a fireplace, that’s OK: With careful planning, you can add one. As you begin your research, the first thing to know is that fireplaces generally fall into one of three categories: masonry, zero-clearance (also known as pre-fabricated or manufactured), and gas. Of course, each design has its pros and cons. So before you decide to learn how to build a fireplace of any type, it’s essential that you consider the different options in light of your project budget, your aesthetic sense, and the particulars of your home’s construction method and architectural style. 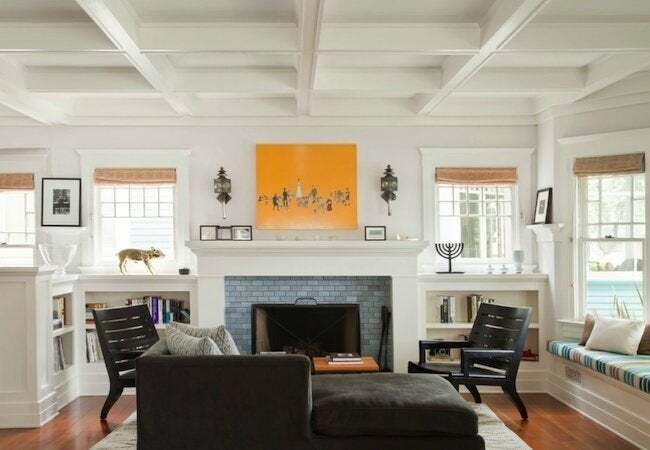 The most expensive option is a wood-burning masonry fireplace. Arguably, it’s also the most attractive and impressive-looking. When the average person envisions a fireplace, this is the kind that comes to mind. A masonry fireplace consists of a brick or stone firebox, a brick or stone chimney, and, more often than not, a wood mantel. It’s a lot easier learning how to build a fireplace like this in new construction. Adding one to an existing home presents myriad challenges, but it certainly can be done. Before you do anything else, identify the room in which you plan to locate the fireplace, then make sure its floor joists are reinforced. Neither brick nor stone is lightweight. When used in the quantity necessary to build a fireplace of average size, these materials are hefty indeed, so building codes require that the house framing be modified to accommodate the increased load. Further considerations include the dimensions and thickness of the firebox, the size of the damper opening, and the type of chimney and liner used. Local building codes typically give detailed specifications for each of these details as well as for the minimum distance between a fireplace and combustive materials. Talk to your builder about the merits of an air-circulating system, which forces the fireplace to draw in cooler air from the room. Once that air is heated, a low-voltage fan pumps it back out into the home. Without such a system, masonry fireplaces can steal warm air and send it up the chimney, resulting in higher monthly heating bills. A nonmechanical way to address this problem is to build a fireplace with a slanted firebox, which inhibits warm air from escaping to the outside. In comparison with masonry fireplaces, zero-clearance fireplaces are much easier and less expensive to install, requiring significantly less construction work. Because they are lightweight and have firebox enclosures that always remain cool, zero-clearance fireplaces can sit directly over hardwood floors and within a few inches of existing walls. For rooms of any size, but for small rooms in particular, homeowners have found that zero-clearance fireplaces are a sensible, more than satisfactory option. Wood-burning, gas, and electrically powered zero-clearance models are all available, with the difference between them largely being a matter of lifestyle and personal preference. When it comes time to make a purchase, the real question is, “How big?” You can determine the ideal size for a zero-clearance fireplace with some simple math. Measure the width and length of your room, then add those measurements together. The number of feet you calculate will be the best size of the opening—in inches—for your fireplace. So, if your room measures 12 feet by 15 feet—for a total of 27 feet—then choose a model with an opening of at least 27 inches. Normally, zero-clearance fireplaces vent through a lightweight metal tube that extends through the ceiling. Some models, however, contain an external air-venting feature, one that draws air from the outdoors. By not having to draw air from the room, these fireplaces can operate up to 70 percent more efficiently. But whereas zero-clearance fireplaces can usually be installed anywhere, these more efficient designs must be situated on an exterior wall. While they don’t offer the sounds and aroma of a wood fire, gas fireplaces create lovely ambiance and often supply more warmth than wood does. Plus, gas fireplaces are much easier to start—say goodbye to all that newspaper!—and there’s no cleanup or danger of fire from errant embers to worry about. Environmental friendliness is another reason why gas fireplaces have become more popular. A wood-burning fireplace pollutes; a gas fireplace pollutes less. That’s true in part because gas models feature thermostatic controls, enabling the homeowner to operate the fireplace as if it were a traditional heating system. If you’ve ever cracked a window when a wood fire got a little too hot for comfort, then you know that, delightful as they are, traditional fireplaces do not excel in energy efficiency. Like their zero-clearance cousins, gas fireplaces don’t need a ton of room. For a standard unit, the main installation requirements are 1) a connection to the gas supply line and 2) an adequate venting mechanism. Deal with the first requirement by positioning your fireplace near the propane or natural gas line, or in a room to which it would be both feasible and cost-effective to run an extension. The second requirement—venting—can be handled in a variety of ways. You can do it through an existing chimney, by installing a new chimney, or most simply, through a length of lightweight metal tubing that leads from the unit to the outdoors. Note that unvented gas fireplaces are available and increasingly common. They use catalytic converter technology to cleanly burn all the fuel that is fed to it, with little to no off-gassing. But be advised that some have expressed concern that unvented gas fireplaces might not always succeed in burning 100 percent of the propane or natural gas. So for safety’s sake, remember to site yours near a window that can be cracked on those occasions when you are enjoying a fire at home. No matter your decisions regarding how to build a fireplace, familiarize yourself with the maintenance and cleaning techniques required for it to work safely and effectively.